NISKAE designs a range of industrial wastewater treatment systems. The capacity of these systems varies between 100L/H and 2000L/H. A complete range of products, adapted to your wastewater treatment applications: wastewater treatment, paint booth water treatment, cooling circuit, boiler and air conditionning treatment systems, sludge conditionning in water treatment plants. With 30 years of experience, NISKAE’s laboratory develops a set of formulas for water treatment that matches most applications. For specific cases, or to match certain standards for water disposal, we specifically develop and adapt our water treatment products to your application. NISKAE is offering a range of stations, products and wastewater treatment processes that are necessary to the conditioning and water supply of your process water (loops) and production equipment but also to treat industrial wastewater and recycle it. NISKAE is your partner for all your industrial waste water and process water treatment and recycling projects. Our integrated engineering and design department works on a standardized range of plants, softeners, dosing stations for the use of water treatment, and stations for industrial waste water treatment and recycling. 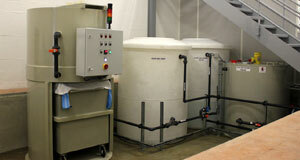 Our know-how and expertise guarantee custom made, adapted turn-key solutions for your used water treatment project. 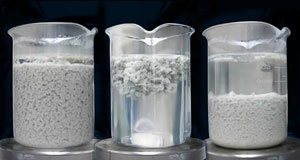 NISKAE has a full catalog of products and materials for water treatment: filtration, dosage, mixing, agitation, pumps, coagulants, water treatment products. Our water treatment technicians are here to guide you if you have any questions about dimensions or technical validation. Our engineering office is able to provide you with the custom made solution that best suits your needs.